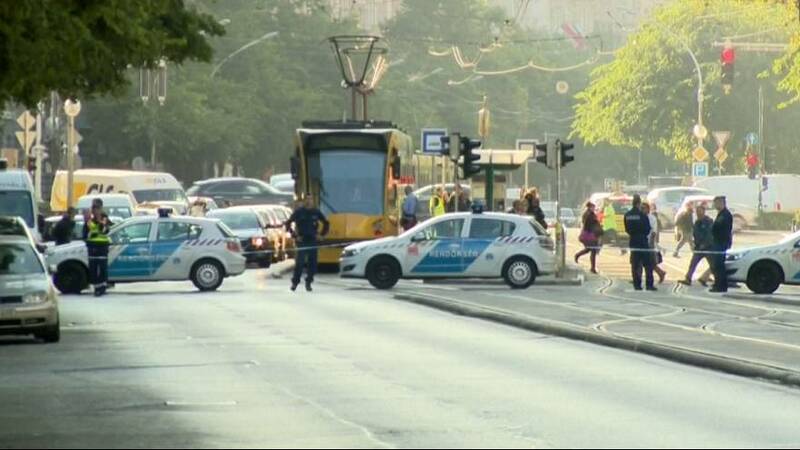 Authorities in Hungary have announced the arrest of a man suspected of being behind a home-made shrapnel bomb attack in central Budapest last month in which two police officers were injured. Described as a Hungarian national, he was detained by anti-terrorist squads in the town of Keszthely in the west of the country. Chief Prosecutor Tibor Keresztes gave no details of any motive for the blast. Keresztes said the man, who has no previous criminal record, did not make a confession.